Creating your own wire shapes can be a very fun experiment to do, but today we are going to focus on a DIY drop earrings design using a Jig. This is going to help you hone your skills and take your experience to the next level by creating various shapes. Once completed, you can play around and try to create your very own wire shapes. The finished product can be used for anything ranging from decorations for displays on walls, pendant or necklace elements to earrings hooks or drops, clasp connectors, and more! What you do with the outcome, is totally up to you. First, you are going to cut and straighten a piece of jewellery wire and then make a loop in the one end. Place the loop you created over the first peg and then continue to wrap it around all 6 pegs on the jig board until you return to the first peg where you started. Make a final loop around the first peg where you ended off for a better finish. You can now remove the shape you created and the cut off any excess wire that is left behind. Remember to close it off by using your chain nose pliers. If you have a pretty glass bead, spacer or pearl you can create a little drop on the end by threading wire through your bead and then loop it onto the bottom detail of you design so it hangs well. 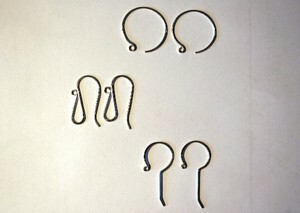 In order to keep the beginning and ending loop together, you can wrap gauge jewellery wire around it or join them from the loop on your shepard hook. Now that you know the steps of this jig, why not test it out today and get creative?